EZT terminals are available in a wide array of control packages using pneumatic, electronic analog or factory-installed direct digital (DDC) controls. Hot water heating coils are offered in a wide range of capacities in 1, 2, and 4 rows. 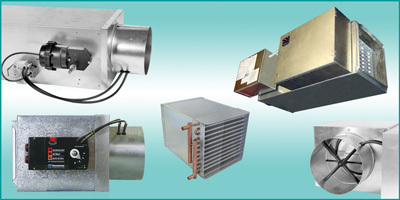 Electric heating coils are available in various voltages and steps of control. Matte-faced insulation is provided as standard. Foil-faced insulation with the edges sealed with either tape or sheet metal (Fibre-Lok) is available. Closed cell (fiber-less) insulation and double wall construction using a full metal liner is also available. 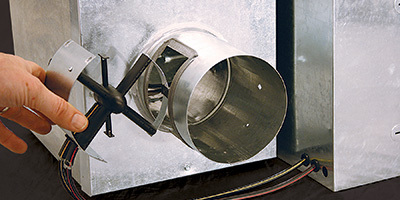 EZT units can be provided with an integral sound attenuator for ultra-quiet performance. Low temperature unit construction is also available using 1” thick matte-faced insulation and isolation of the air valve from the outer casing. Numerous other optional features are available including single or double cam lock access doors. 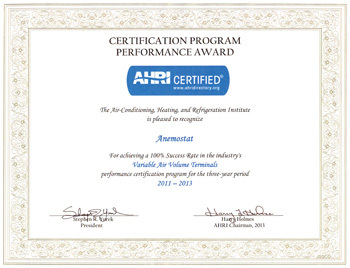 Anemostat’s EZT terminal ratings are AHRI Certified and all units are tested in accordance with AHRI Standard 880. The lack of intruding fasteners, tabs or other obstructions in the air stream results in very quiet sound performance and low internal pressure losses. All units incorporate full 90-degree rotation round dampers (except 24 x 16) for precise control of the airflow. 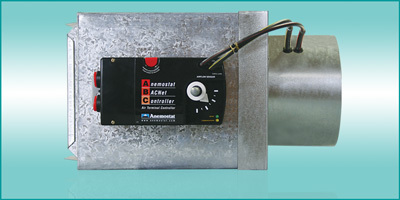 All units are available with pressure independent controls for precise control of the airflow. All units with these controls are factory calibrated for minimum and maximum airflow settings prior to shipment and are easily field adjusted. The airflow sensor is a very critical component used in air terminals to precisely monitor flow rates into conditioned spaces, and its’ performance should not be ignored. Anemostat’s airflow sensor, the Velocity Wing™, utilizes a patented design that sets the standard for air flow sensing technology used for pressure independent controls systems. 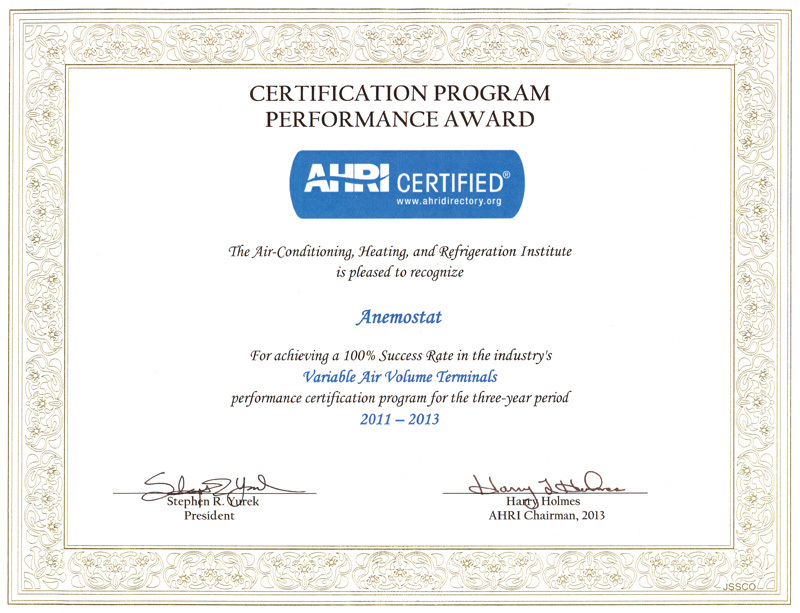 The patented design utilized the log-linear rule (ASHRAE Std 111 & AMCA Std 201) to strategically locate the measured points in the air stream. This design feature compensates for frictional drag along the duct walls to obtain the most accurate measurement of flow possible. The Velocity WingTM utilizes 20 measurement points on all 9 inlet sizes (diameters) to accurately measure the airflow, regardless of the upstream velocity profile, with an error less than 5%. The total pressure is continuously and simultaneously sampled at the 20 points, and averaged in the center chamber. In conjunction with the 2 enhanced amplifying static pick-up tubes, the resultant differential pressure signal is extremely stable and accurate.